Yep, it's that time of year.... molting time, that is. 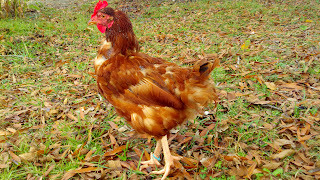 Hens are dropping their feathers and going naked (or "nekkid" if you're from the south) as their new feathers grow in. It's an annual autumn affair for most of the ladies. There is a great explanation of molting found here. To paraphrase: Molting takes place usually in fall and is how chickens shed old feathers and replace them with new feathers. Egg laying is affected during the molting period. Hens are either early molters or late molters. 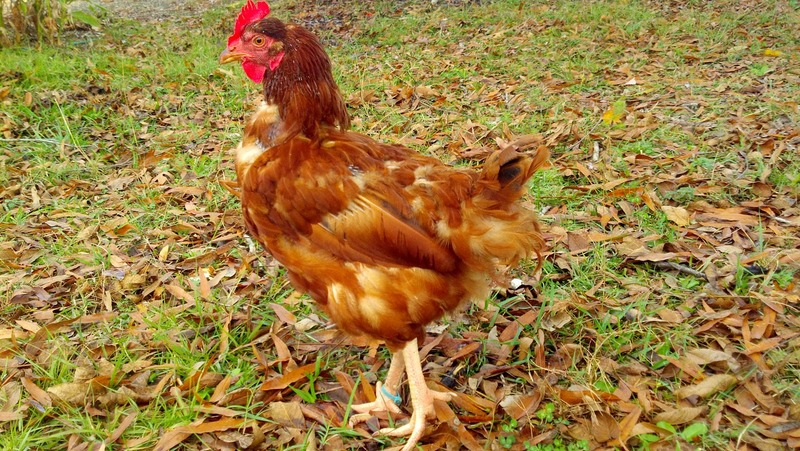 Late molters: Better laying hens. Lay for about 12-14 months before molting. Drop feathers quick (2-3 months) and replace feathers at same time. This allows them to go back to normal laying faster. Late molters usually have a more ragged feather appearance. Early molters: Poorer laying hens. Lay for a few months before molting. Drop only a few feathers at a time and may take 4-6 months to complete molt. This prolonged molting period effects egg production. Because early molters only lose a few feathers at a time, they usually appear much better groomed. Early and late molters can also be identified by their wings, where flight feathers (the long feathers) are lost in order from inside to tip. Late molters lose primary flight feathers 2-3 at a time. Early molters lose theirs one at a time. This information is important for those wanting to breed for the best egg layers because molting habits are genetic. We want to keep track of our late molters and keep them in mind for future breeding (barring any genetic problems). Early molters are still kept in the flock, but prevented from breeding.